shower, or relax for a long soak in a seated bath. 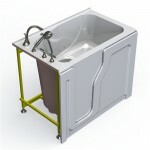 Aquassure carries several brands of walk-in tubs. The ultimate bathing experience! Each tub comes standard with a comfortable contoured seat back, safety grab bar, heated seat with controls, 3/4” high flow valves with factory installed deck mounted chrome ADA-compliant Roman filler and lever-handled fixtures with adjustable handheld shower, and ergonomic lever handle patented door latch. Thermostatic anti-scald systems are also available. Choose from four unique designs meant to fit everything from small doorways to bariatric therapeutic care. Best Bath tubs are made from gelcoat fiberglass with all stainless steel and brass components (no plastic) and have a 30 year limited manufacturer’s warranty. Click to browse the catalog. Air Jets – top of the line CG Air heated air massage system (jet count varies by model). Water Jets – top of the line Syllent pump heated water jet hydrotherapy system (jet count varies by model). Ozone – top of the line CG Air O3 Ozone disinfection system for water jets. Turns on 1 hour after your bath to run a 15 minute sanitization process for your water jet system. Fixtures – upgrade from chrome to brushed nickel or oil rubbed bronze. Accessories – add a shower curtain kit and a glide bar for your hand held shower to bring your shower to life. Choose from a variety of shampoo shelves and towel racks to enhance your new tub. 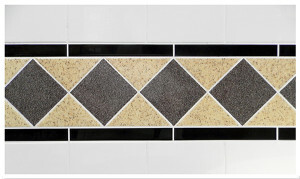 Colour & Tile – tubs come in classic white but can be upgraded to a variety of colours from off-whites to faux stone. 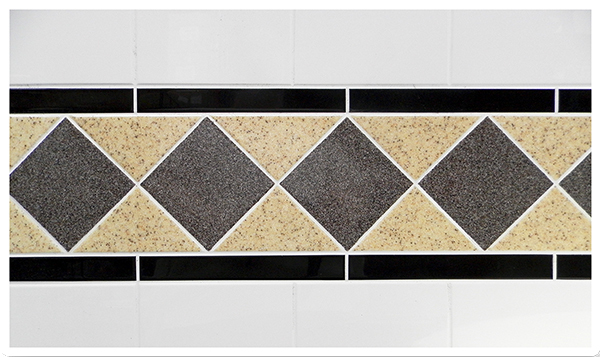 Wall surrounds are also available in a selection of tile patterns which can be upgraded in full colour washes or accented with individual tiles. Visit our colour chart page to view what options are available. Doors – Aquassure has installed many walk-in tubs with beautiful sets of sliding glass doors on them! Safety Bath offers a selection of walk-in tubs built in glossy white acrylic, with durable swinging aluminum doors. All tubs feature 2″ drains, high flow fixtures, at least one grab bar, and an anti-slip textured floor surface. Tubs range in sizes from small fit compact models to their large door Bariatric tub. Tubs are built in Canada. Click here to browse the catalog. Tub Upgrades available are… air jets, water jets, ozone disinfection system, aromatherapy, chromatherapy, a silicone pillow, curtain rod, and curtain. Ella’s Bubbles offers a selection of walk-in tubs built in both gelcoat fiberglass and acrylic. Tubs range in a variety of shapes, sizes, and threshold entry heights, and feature swinging doors. A variety of fixture types are available depending on the model. Tubs are built in the US and China. Click here to browse the catalog. Tub Upgrades available are… air jets, water jets, ozone disinfection system, aromatherapy, chromotherapy, heated backrests, and more.